Installing “signature” landscapes for homes and offices in Central NY since 1974. 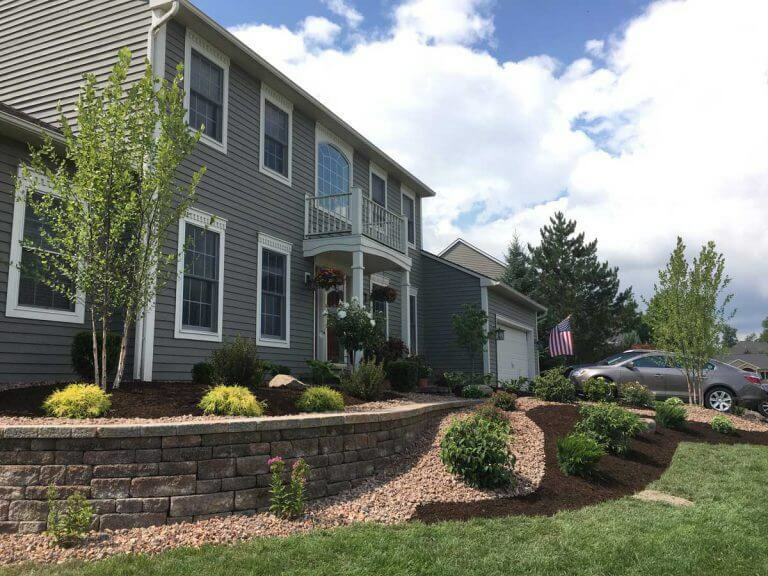 We create “breathtaking” designs using sustainable plantings that are native to Central New York. From waterfalls and patios to drainage systems and lot clearing – we’ve got you covered! We are proud to stand by our “REAL” industry leading guarantees. Your new landscape will enhance your home or office and give you something to be proud of for years to come. They (Award Winning Landscapes) have excellent customer service and are attentive to our needs. I would recommend them to those looking for a great service at an affordable price. We cannot thank Mike and his staff enough for their dedication and attention to detail every day. We highly recommend their service and would be willing to answer and questions with regard to Mike, his great staff, and high-quality service. They are always on time and always makes sure I do not get stuck during the day if snow piles up, they're back without a call. Award Winning Landscapes is certainly a great name for your company because your landscapes are AWARD WINNING and your customers are the WINNERS! We cannot recommend Award Winning Landscapes and Mike Wild enough.